I’ve lost count of the number of To Do list managers I’ve tried over the years—there have been so many. Most recently, Omnifocus and Wunderlist were my repositories, but I eventually grew frustrated enough to dump them; nothing I’ve used has eliminated the time-honored alternative of writing notes on scraps of paper that get scattered around my desk. I have been using Trello for the last six months, and I’m very happy with it. Here’s what I like about this nifty piece of software. It’s very flexible without being over-complex (Omnifocus, I’m talking about you.) I use a combination of Getting Things Done and Kanban methodologies, and Trello makes it a snap to extend the core Kanban model (To Do, Doing, Done) in any way you like. Each Trello board can have any number of Lists, and each list can hold any number of Cards, which are your basic individual action items. For an example look at my To Do board above, which includes a set of three priority To Do lists (cool, warm hot), a Brattleboro list (for things to do when I go into town), a Waiting list (off screen) for things I’m waiting for someone else to get back to me on, as well as Doing and Done lists. Moving stuff about is a dream. On a desktop device, drag a card with your mouse to where you want it. No delay, just drag it to a new list and it pops into place. On a touch-screen, use your finger to drag; it works the same way. Wunderlist sometimes had annoying lags (“did I move it or not?”) while Trello just works—Steve Jobs would be proud. More features are available when you need them, but they don’t get in the way. See this intro Trello board that lists some of the things you can do that maybe I’ll want to do some day. Trello is free for the functionality I need. If you start using it inside an organization, you can purchase Trello Business Class, which costs $5 per user per month or $45 per user per year and adds administrative controls and security (plus export in CSV format; see below). That’s how they make money. 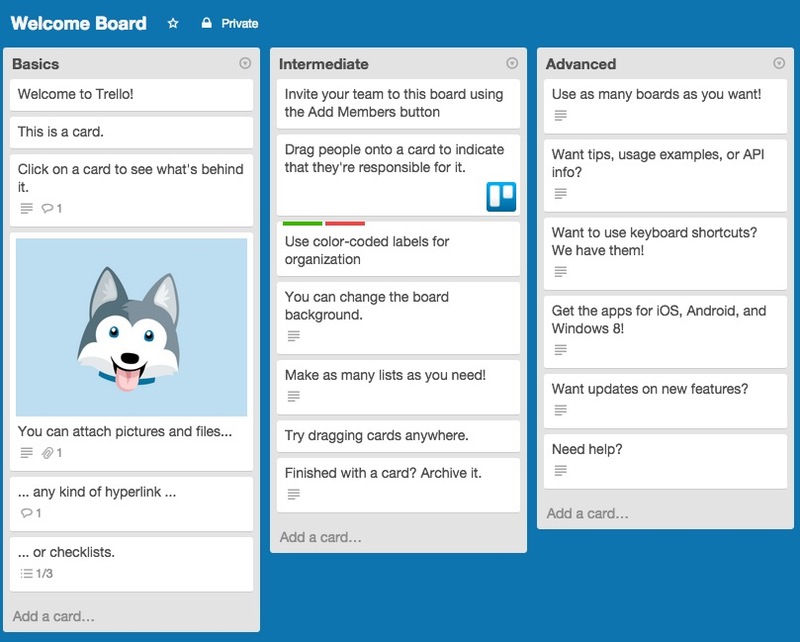 At the time of writing, Trello has ~5 million users. Sign up today! It doesn’t cost anything, and no salesperson will call. If you’d like to patiently explain to me why the To Do list manager you use is way better than this, then type away in the comments.